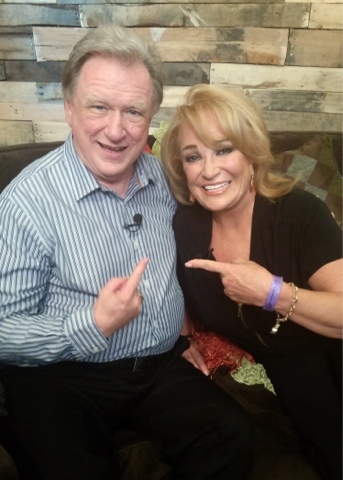 NASHVILLE, Tenn. (December 7, 2015) – Fans of classic country music will have another chance to watch popular TV series “Reflections” when artists like Tanya Tucker, T.G. Sheppard, Rex Allen Jr., John Berry, Moe Bandy and Leroy Van Dyke open up to Tennessee Radio Hall of Fame DJ Keith Bilbrey. Episodes featuring those artists will re-air through Jan. 11. “Reflections” is a weekly half-hour, interview series where Bilbrey leads one-on-one insightful interviews with country music’s legendary artists. The series has become a must-see for fans of country music. Each episode features stories from the stars that have never before been told about their childhood, careers, and the songs that made them famous. Bilbrey’s long-time relationships with the iconic artists who are featured on “Reflections” translate into intimate and candid conversations with each guest. The series airs on Mondays at 8/7c on Heartland TV. Click here to find your local channel. Dec. 21 - Rex Allen Jr.